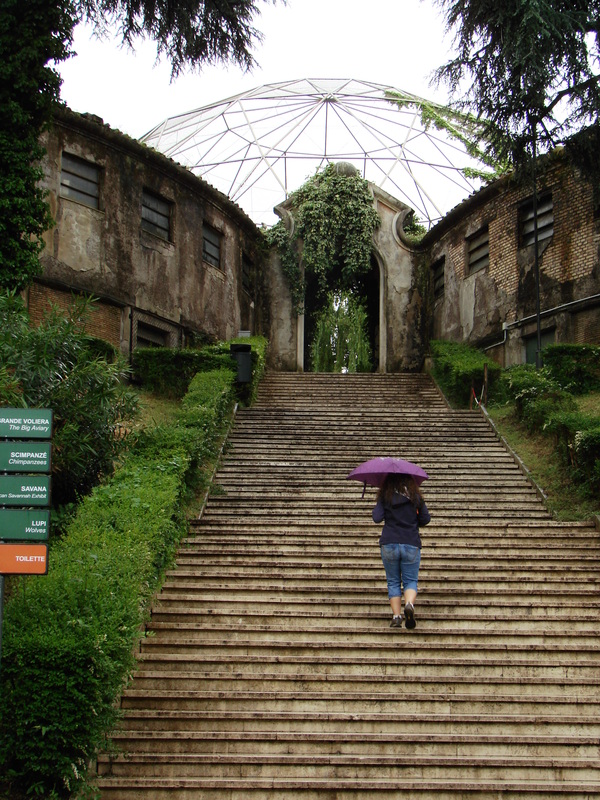 When you think of Rome you probably conjure up the image of a city steeped in history, so when I decided to go to Rome’s Zoo I was thinking this 100-year-old zoo might show its age. I was thoroughly delighted when many of the exhibits and enclosures continued to impress me. The Zoological Gardens of Rome surely doesn’t lack the typical Roman grandeur. Approaching the Great Aviary you’re met with a grand stairway leading up to its geodesic structure. Built in 1935 this dome-like outdoor aviary provides various habitats with trees, shrubs and a large pond to the many different birds that call it home. From large storks sitting on even larger nests to graceful spoonbills at water’s edge and cranes to ibis perched on slender branches, Rome’s Great Aviary exhibit provides an eye-full of beautiful birds. Just past the orangutans was another great exhibit called Chimps Village. This 1500 square meter outdoor enclosure is not only expansive but full of lush foliage, trees and a large climbing structure as well as a waterfall, is home to the zoos group of chimps, some of which at a young age were confiscated from traffickers. With a couple of different viewing points, our first stop, after we got around a loitering peacock, was on the hill looking out at them almost at eye level. Many of them were sitting, eating or dozing while one decided to literally walk along the rope to the next platform, like a seasoned tightrope walker. Wow! 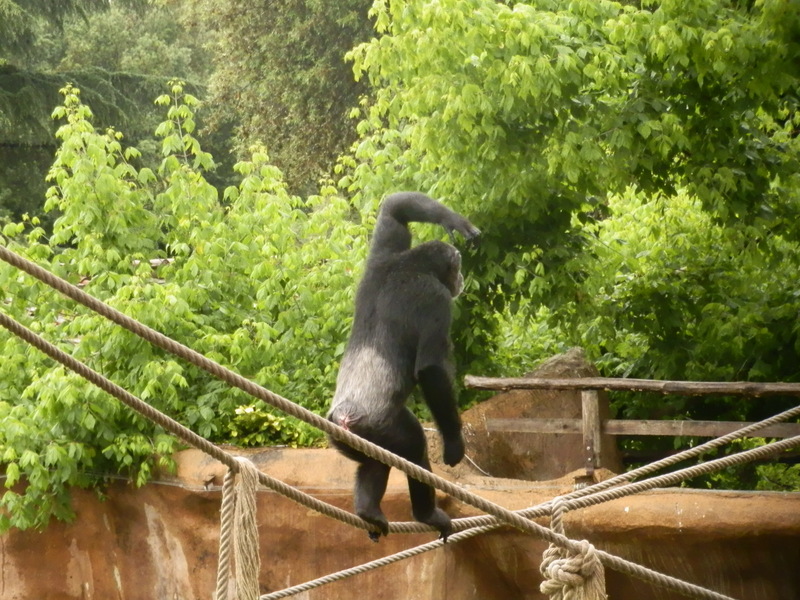 Its one thing to see apes walking upright on the ground but it was a whole new thing to see one with its arms out at its sides, gracefully tightrope walk with ease. They never cease to amaze me. Then as I looked up I could see the dome of the Great Aviary and a flock of cattle egrets flew around it, their brilliant white feathers sparkled like angels wings in the hints of sun peaking from between the grey skies. Over my past three visits to Rome I’ve seen friendly feral cats all over the city. These cats of Rome walk down the streets, hang out in the Roman Forum as well as around other ruins, so it was no surprise to find a couple hanging around one of the zoo’s buildings. They weren’t skittish and as I stood and watched them, with pigeons and seagulls fluttering around, they reminded me of two old men sitting on their front porch watching the world go by, and staring back at me as if to say “what? we have every right to be here.” I couldn’t help but giggle. Winding our way back, we headed to the Wolves Wood. Here in another large forested enclosure, over 1000 square meters, were the zoo’s pair of gray wolves who were up and about. Back in the 1970’s there were only a few tens of wolves in Italy but thankfully after strict laws put in place and more awareness there are now around 500. The next pavilion was the Reptile House, built in 1935 where 98% of the animals housed here came from seizures and confiscations. 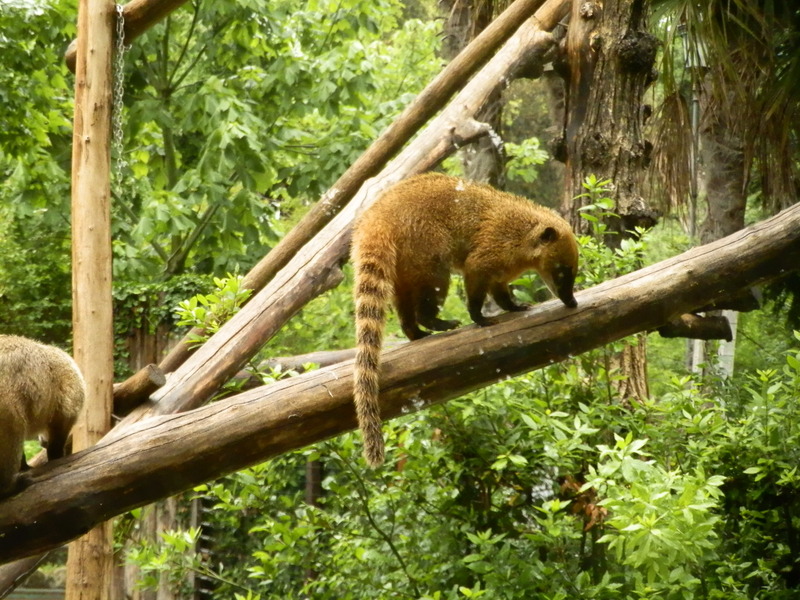 Right outside is the zoo’s outdoor meerkat enclosure with tunnels leading to their indoor enclosure in the Reptile House. As always there’s always at least one sentry on the highest dirt mound, while the others dig and scurry around, or posed looking cute as ever. Once inside the Reptile House there was a beautiful walk-through aviary that was home to the scarlet and Waldrapp ibis’ perched in the trees while on the ground below sauntered Aldabra and African spurred tortoises as well as green iguana. Walking through the next door not only transports you to a lush tropical rainforest but leaves you awe-struck as this rich environment envelopes you. A gradual spiral ramp takes you up and passed tortoises, alligators and dense plant life with a tall, striking waterfall in the middle of it all. This was by far my favourite exhibit at the zoo. The Zoological Gardens of Rome has a few more felids (cats) like the Eurasian lynx and Persian leopard. The Persian leopard is the largest of the leopard subspecies and probably one of the most endangered with fewer than 1300 individuals in the wild. 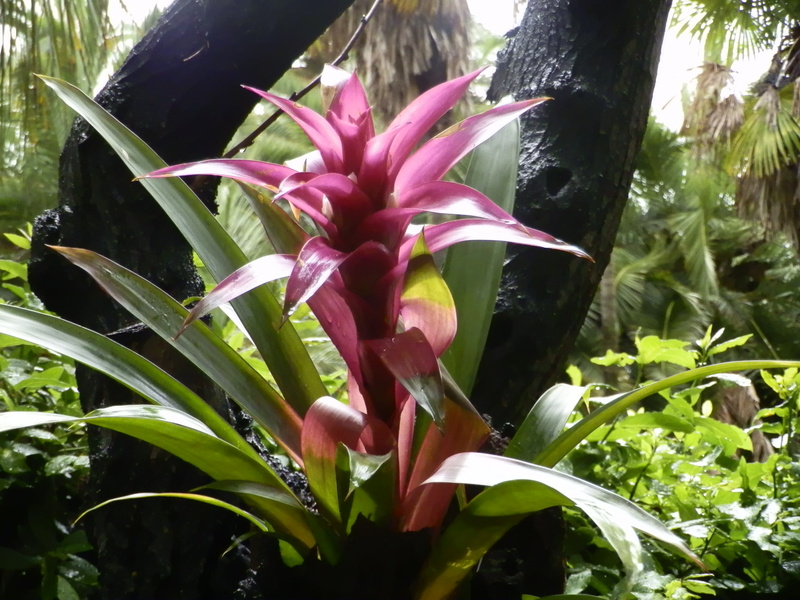 The Zoological Gardens of Rome was a complete surprise and thoroughly impressed me with their great enclosures, devoted work with CITES and all their stunning plant life, including striking and colourful bromeliads, that are plentiful in diversity as well as density. If you want to break up your sightseeing of historic grandeur then a day at the zoo will provide a light and refreshing escape. Lovely, Stephanie. How nice to know that animals are treated as treasures, too. Would love to see those wolves! Thank you! If you check out my Facebook page I’ve got more pictures there, including the wolves.